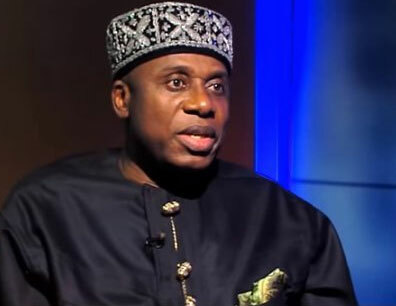 To forestall ticket racketeering on its Abuja- Kaduna train service, the Nigeria Railway Corporation (NRC) has commenced the implementation of Minister of Transportation Mr Rotimi Amaechi’s directive that tickets be issued only to passengers with valid Identification Cards. The Minister, following complaints from passengers, had recently ordered the redeployment of some railway workers found culpable of hoarding first class tickets at the Abuja station on the Abuja – Kaduna route. The Minister also disclosed that the Corporation is planning to boost its frequency on the route, saying the Federal Executive Council has approved the importation of 10 Coaches to boost transit services on the Kaduna to Abuja axis. The coaches would arrive before the end of the year. Director of Operations and Acting Managing Director of the Nigerian Railway Corporation, Mr. Niyi Alli who disclosed this at the weekend said the Corporation is already implementing the minister’s directive. He said passengers wishing to enter the Abuja-Kaduna train must come with Identity Cards as passengers who don’t have any form of Identification will not be sold tickets and prevented from entering the train. He added that passengers on presentation of identity card will be issued a ticket bearing their names to forestall the possibility of transferring tickets to the highest bidder which has been the practice in recent time. Relating the new model to steps taken to buy air travel tickets, Alli said identification would be needed not only to forestall ticket racketeering, but also as a safety precaution for passengers on the train. He equally revealed that some staff of the Corporation allegedly involved in hoarding tickets, have been redeployed while some Senior staff have been posted to Idu and Rigassa to ensure full compliance with the directive. He disclosed that a short to medium term plan is ongoing to revitalise the narrow gauge train service. According to him, while the short term plan is the in-house refurbishing programme aimed at refurbishing the existing coaches and wagons in the fleet of the Corporation, the long term plan entails the concession of the corporation to General Electric so as to enhance importation of additional rolling stocks. He assured that the concession may take off fully before the end of the year.